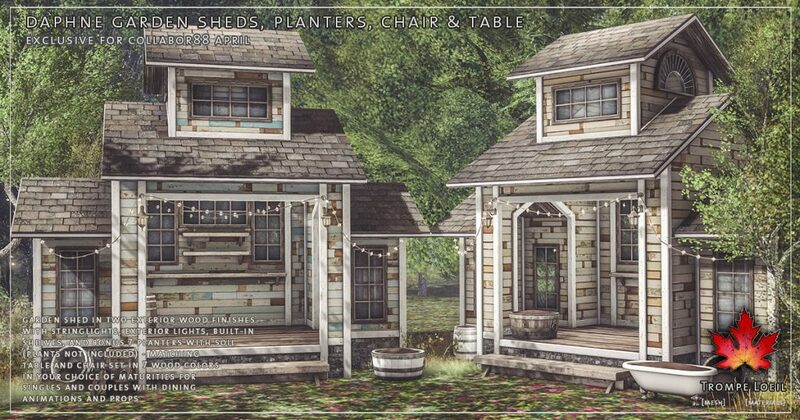 Breathe in deep – the fresh air, the new soil, and all the green and growing signs of life are back, with Trompe Loeil’s new Daphne Garden Sheds, bonus Planters, and Chair and Table set, only at Collabor88! 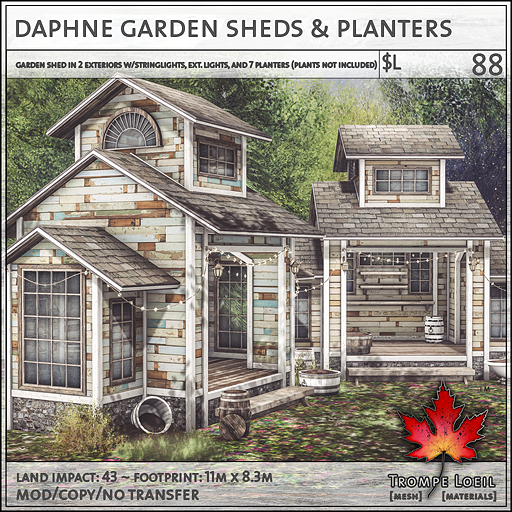 The Daphne Garden Sheds are adorable single room structures with an open access wall, built-in shelving, exterior lights and delicate string lights for late night garden get-togethers. 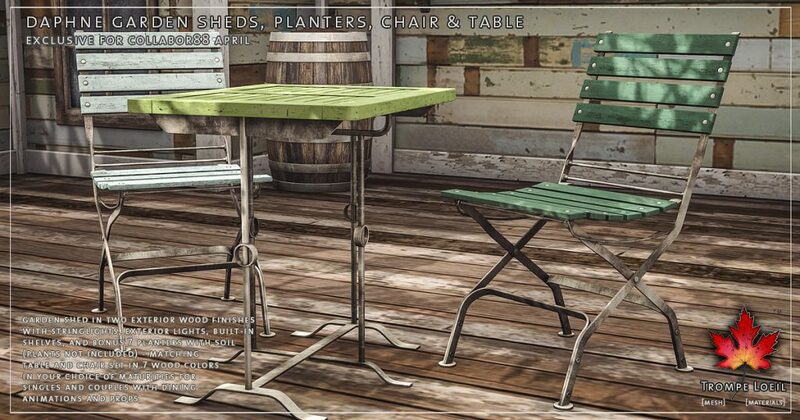 We include two charmingly rustic exterior finishes as well! 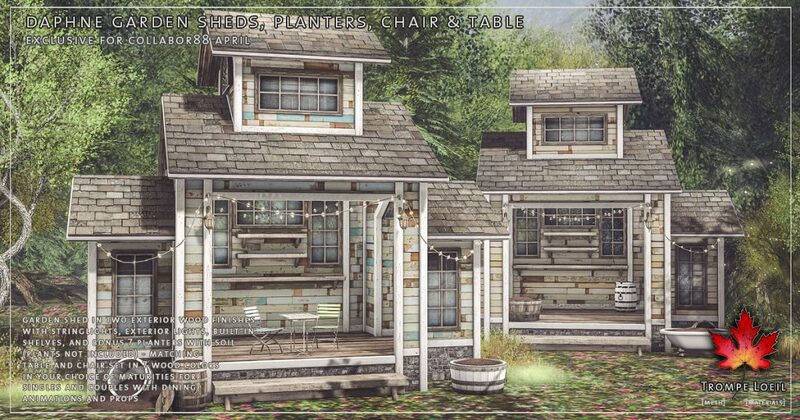 And as a bonus, use our included Daphne Planters in a variety of barrel, bucket, and even a bathtub filled with potting soil ready for your favorite plants to decorate! 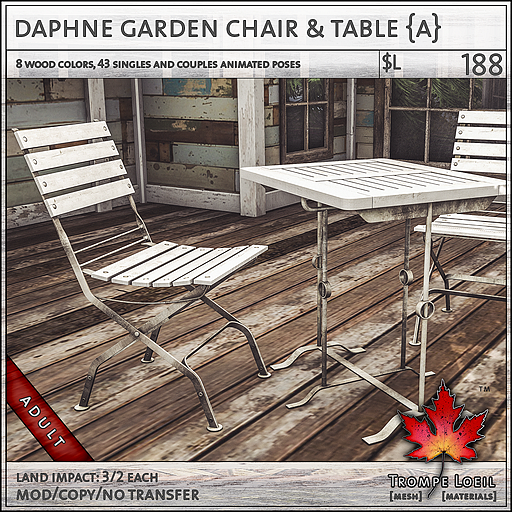 Plus, the matching Daphne Chair & Table set includes 7 wood finishes, dining animations, and couples animations in your choice of maturities – perfect for a casual garden chat or tea! 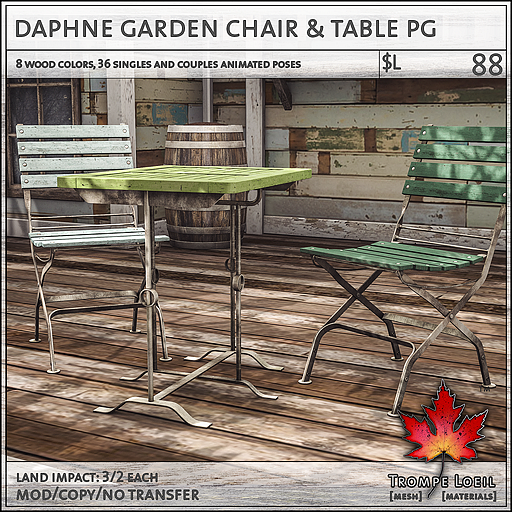 All this at fabulous C88 prices only during the April round!